Aaron is a molecular and computational biologist with a strong engineering bent. He thinks about the core of Octant's platform technology: converting protein-chemical interactions into sequencing reads, and converting sequencing reads into interpretations. 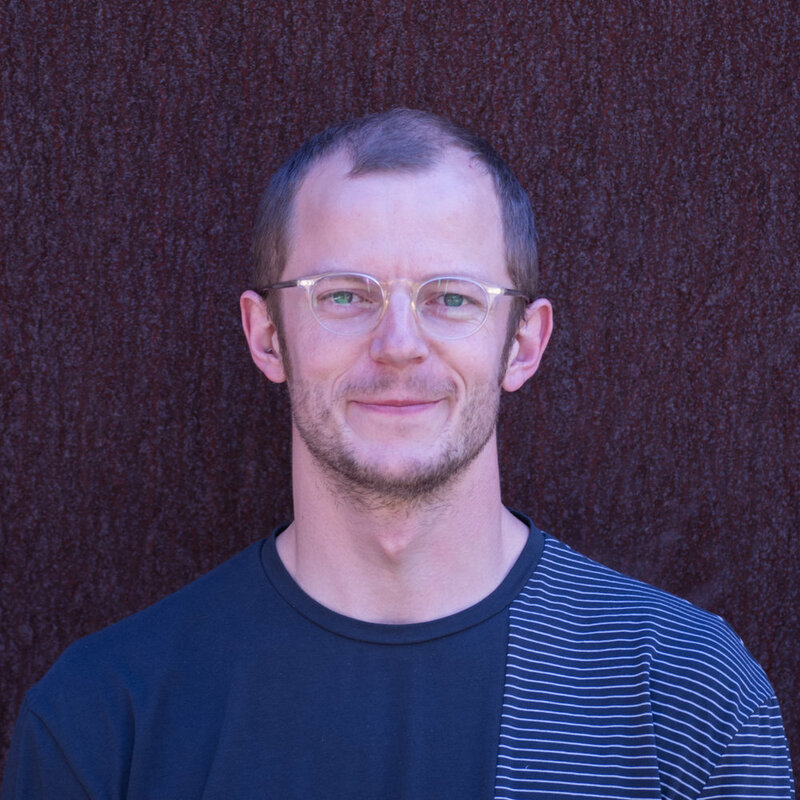 Before joining Octant, Aaron helped build the synthetic biology platform at Cell Design Labs, an immunotherapy startup in the Bay Area that was acquired by Gilead in 2017. He is the sole source roaster of all coffee consumed at Cell Design Labs, a role he has continued and extended to Octant. Before moving into biotech, Aaron did graduate work in gene therapy with Donald Kohn at UCLA, developing therapies for severe genetic immune deficiencies and for sickle cell disease. Aside from his duties at Octant, Aaron enjoys roasting coffee, going to the mountains for alpine rock climbing, and programming lethal robots to hunt down and destroy their opponents. He most recently did the latter in the 2016 season of Battlebots with team Chomp. Cytoreductive conditioning intensity predicts clonal diversity in ADA-SCID retroviral gene therapy patients. Cooper AR, Lill GR, Shaw K, Carbonaro-Sarracino DA, Davila A, Sokolic R, Candotti F, Pellegrini M, Kohn DB. Blood. 2017. 129(19):2624-2635. Genetic Tagging During Human Mesoderm Differentiation Reveals Tripotent Lateral Plate Mesodermal Progenitors. Chin CJ, Cooper AR, Lill GR, Evseenko D, Zhu Y, He CB, Casero D, Pellegrini M, Kohn DB, Crooks GM. Stem Cells. 2016. 34(5):1239-50. Rescue of splicing-mediated intron loss maximizes expression in lentiviral vectors containing the human ubiquitin C promoter. Cooper AR, Lill GR, Gschweng EH, Kohn DB. Nucleic Acids Res. 2015. 43(1):682-90.